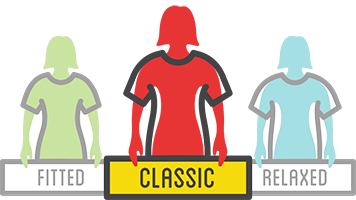 The Women's Sport-Tek lightweight Competitor Tee has a roomy, athletic cut and is made from a moisture-wicking, durable, 100% polyester fabric that won't fade, shrink or wrinkle. It has a slightly open crew neck and a tapered fit. With a sewn in removable tag, double-needle stitched sleeves and hem, this shirt is very flattering, cool and durable. It is a great choice and great value for any outside or athletic use.